Hear the difference between analogue and digital hi-fi systems | What Hi-Fi? 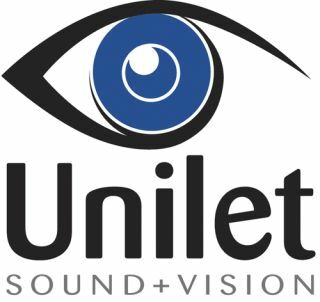 Unilet Sound & Vision has invited the public to experience the difference in sound quality between analogue and digital. The two-day event takes place on Friday 6th December and Saturday 7th December, at Unilet Sound & Vision in New Malden, Surrey, and will showcase equipment from five of the hi-fi industry's biggest names: PMC, Kef, Chord, Bryston and Vertere. An analogue set-up will be installed in one demonstration room, and a digital set-up in another. At three set intervals each day, both systems will play the same album, allowing people to move between each room to hear the differences in audio quality. The analogue system will comprise the £45,000 Vetere Acoustics RG1 turntable, along with the £12,750 SG1. Amplification will come from Bryston's 28BSST monoblocs, with PMC MB2SE studio monitors completing the system. The digital system will contain Chord Electronic's DSX1000 streamer, coupled with its CPA5000 Reference pre-amp and monoblocs. KEF's Blade speakers round off the system. A separate system will see the award-winning KEF LS50 speakers paired with Chord's CodeX streamer and Mezzo 50 amp. Vertere cables will be used in both systems. Unilet Sound and Vision is also setting up a 'Lounge' room, which will feature a 'Sennheiser headphone circle'. This will feature five different models including the Sennheiser Momentum and Orpheus. The Unilet Sound and Vision digital analogue challenge will take place at 35 High Street, New Malden, Surrey, KT3 4BY. It will run from 11am to 9pm on Friday 6th December, and again on Saturday 7th December between 10am and 5pm. For more details, head to Unilet's official website.